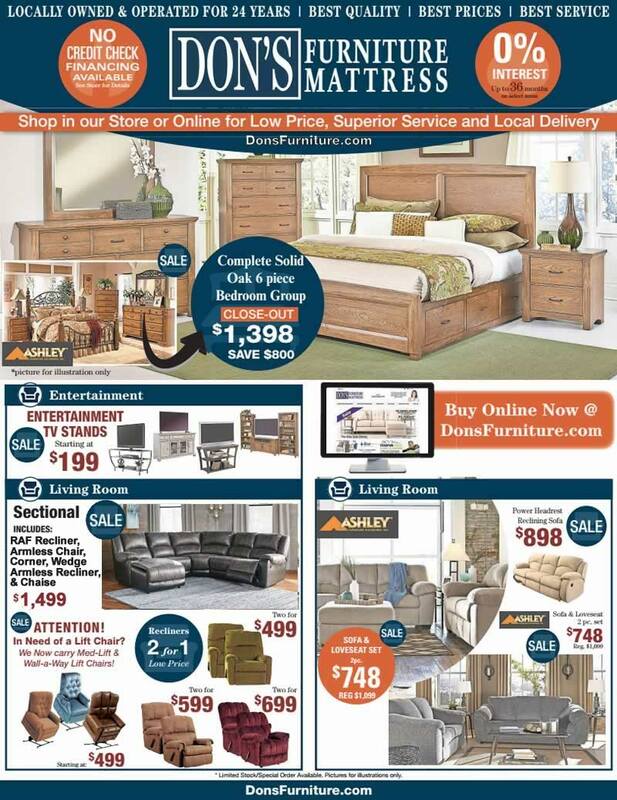 It's a great time to bring style and savings to your home with great furniture at super savings. 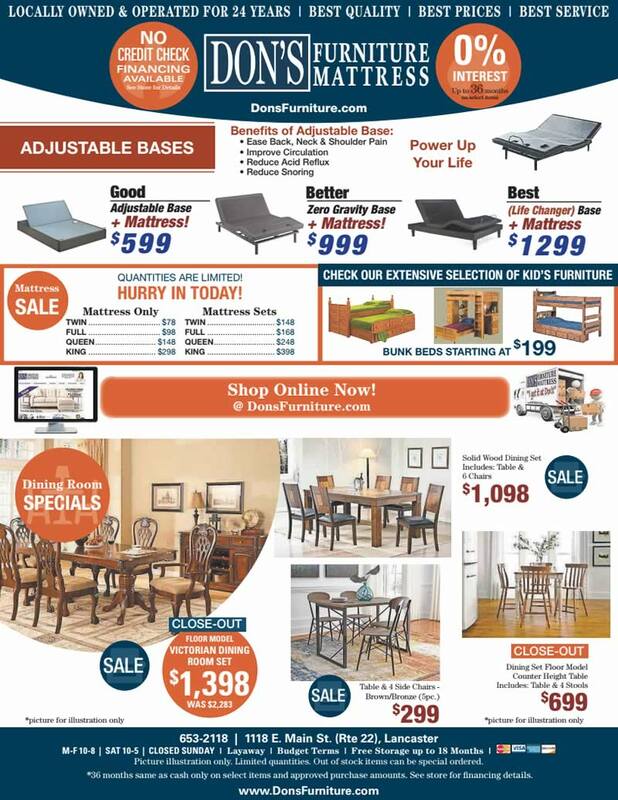 Shop Don's Furniture for the area's best selection of name brand furniture and mattresses at the best prices. For a limited time... take advantage of special offers on sofas, loveseats, chairs, reclining sofas, reclining loveseats, recliners, dining furniture, bedroom furniture, tables, accent pieces. Shop our Mattress Showroom for super savings on mattresses from Serta and TempurPedic for a great night's sleep and energized days. *0% Interest Financing is available to qualified buyers only on selected items. Minimum monthly payments are required. See our store for details.